Water Energizing = Water Energized = Paramagnetism = Living water = Less Surface Tension and has the ability to improve the Quality of your Water = Improved Quality of Life in the runoff - Lakes - Rivers - Estuaries and the Ocean. Irrigation Energizing = Water Energized = Paramagnetism = Living water = Less Surface Tension = Less Surface Ponding = Less Evaporation = allowing your Water and Nutrients to be more available to the Root Zone = has the ability to Improve the Quality and Quantity of your Crops, Cost savings in many areas. Effluent Energizing = Water Energized = Paramagnetism = Living Water = Less Surface Tension = has the ability to Improve the Quality of your Effluent = Less Blockages = Less Surface Ponding = Less Evaporation = and allowing your Nutrients to be more available to the Root Zone. Cost savings in many areas. We dedicate this “Earth Talk” Website to people of all races that have followed their passions in life, one being “Slim Spurling” as in Supporting and Restoring the Environment in working with Nature, with the reflection of the intense negative impact that civilization has made on this Planet Earth. There is now a growing need with the Farmers and Growers that want to harvest their Productive, Intensive Farming/Growing practices with supportive and exciting new ways of working with Nature. We have destroyed the much of the Life on this Planet through our uncooperative ways with Nature, two of them been the “Living Water” [the Life of the Water as it was before] and “Paramagnetism” [the Life of the Soil as it was before] and the Natural world. People from “Earth Talk” has had many teachers and had the pleasure of many experiences in life, one being from at an early age of living on an underground Water stream [not the best idea for a healthier life] but the knowledge and awareness gained has been amazing for my wellbeing in life, and then been trained to be a Dowser of Water and of many other energies that we all have known about sometime in our lives, starting at the age of 7 years. We now have available Ancient Technology “Paramagnetism” Cutting-edge Technology Based on Sacred Geometry and Quantum Physics, Designed to help you reconnect with and get support from the Powerful Healing Energy of the Earth, this has been adapted and recreated for us Now working with Nature, one been “Light Life Technology” by Slim Spurling and other supportive people. "Slim Spurling's Universe" by Cal Garrison, eBook. "In the Mind of a Master" by Susan Anderson with Slim Spurling, Soft Cover. Personal applications, workshops are also available, Slim Spurling has trained Geobiologist around the world, find one you are comfortable with. Commercial applications, it is advisable to receive support from a trained Geobiologist for a few years, sharing the knowledge to enable your organization to adjust to the beneficial positive changes easier in shorter time for many years. You can go to the Website www.lightlifetechnology.com or email us at Earth Talk earthtalk@xtra.co.nz and order tools that support you and your unique way of life, be it PERSONAL or for BUSINESS. Water Energizing – Irrigation Energizing – Effluent Energizing email us at earthtalk@xtra.co.nz. Light-Life® Technology uses subtle energy fields derived from a combination of sacred geometry with quantum physics for unprecedented healing applications. Healing is especially necessary in our modern world. Now, more than ever, humans experience severe pain, chronic illness, and high stress levels, and the earth's systems are very much out of balance, resulting in massive natural disasters. Here's how it all works: quantum physics has shown that ultimately, everything is light. Light is energy, and science has proven that all energy is interconnected; all life is in unity with (and vibrating at levels which reflect) a constant evolution toward higher levels of harmony and balance. In other words, given a low and high vibration, energy will always rise to the higher vibration, which is its true nature. 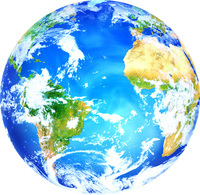 Earth energies can be positive or negative—beneficial or detrimental—in terms of their impact on the earth itself, and on those who live and work in close proximity to them. Unfortunately, in our modern world, negative energies abound due to many factors, including: the pollution of our air, water, and soil, and an increase in Electromagnetic Fields (EMFs) to our environment. The earth is now largely shrouded in a negative energy grid, which has impacted the whole of humanity and life. Researcher and inventor Slim Spurling created Light-Life®Tools to support and speed up the natural healing processes by raising the vibration on a cellular level. This can be accomplished by the tensor field emitted by the Light-Life® Rings, by using the Light-Life®Acu-Vac Coil or Light-Life® Feedback Loop to remove pain, or by activating any of the Light-Life® Harmonizers, which produce a cosmic light field that generates harmony and renewal. The results: healing and restored balance for humans, plants, animals, and the environment. In short, ALL life, all energy is interconnected. Understandingthis concept underscores the power of how bringing harmony to just one area can also positively impact the whole of humanity and life. As an example: If we could effectively improve the quality of our soil, the plants we grow would return to their natural state - healthy and full of the beneficial nutrients that have been lost during hundreds of years of soil pollution. The produce would become the equivalent of organic food that you now have to buy in a health food store, and we would all have the opportunity to benefit from the natural quality of the crops themselves, while avoiding the various health issues that come along with consuming unhealthy produce grown in depleted, pesticide-ridden soil. Light-Life® Tools are manufactured using different ancient units of measurements called "cubits". The Sacred Cubit length (20.6 inches) was the measurement used in the construction of the first Light-Life® Ring. Another cubit length, the Lost Cubit, was discovered in 2000 by genius inventor and researcher, Hans Becker, who worked closely with Slim Spurling and continues to do research with the Light-Life® Tools. He found that the resonant frequency of this particular measurement is a harmonic of the speed of light, which means it may be able to restructure energy at the DNA level. In 2011, after more research and evaluation, a new cubit length was added to the array of Light-Life® Tools. This new cubit length, aptly named New Cubit, is used for the Light-Life® Empowerment Ring, and also for other Light-Life®Tools. It is considered to be the final link in the trinity of cubit measurements (Sacred, Lost, and New). In fact, the Harmonizers appear to actually raise human consciousness, by emitting a pulsing cosmic light field (or L-field) that has a positive harmonizing output. An individual's own energies are set into motion too, continuing as long as one is in its presence! As a result, everyone and everything is affected in a positive way. The more light we have around us, the more it supports the raise in consciousness. For more information about how our products neutralize negative energy in all of these areas, visit our store! It was Slim Spurling's vision to heal the planet and bring renewed health and vitality to all living beings. Since Slim's passing in 2007, his wife and business partner Katharina Spurling-Kaffl carries on that legacy.It is her mission and passion to do so with integrity and without compromise. To that end, she has continued manufacturing existing Light-Life® Tools, while also creating new tools to adapt to the energy changes Mother Earth and her people are going through at this time. Katharina also teaches workshops to introduce people to the Light-Life® Tools and their applications. The Light-Life® Tools are distributed worldwide, and Katharina's vision is to have the Light-Life® Tools become a household name.